I’d like to share an e-mail I sent to Geoffrey West tonight, following his newcast on Cosmic Vision News. Because both Putin’s 12th house cusp and his Saturn in the 12th house are both located on this 17th degree of Libra, I view this as a strong indication that a CALM MIND is a well developed skill brought in from prior lifetimes. Vladimir Putin firmly believes that martial arts teach such knowledge, abilities and skills that every politician needs. 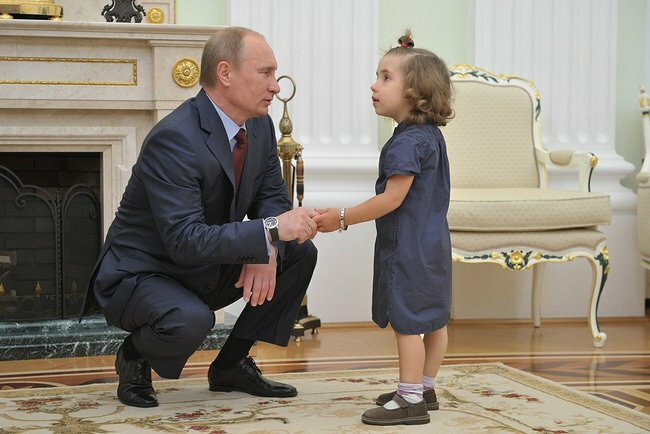 Putin believes that judo trains both your body and your mind. It develops strength, reaction, endurance, teaches self-control, the ability to feel the moment, to see the opponent’s strengths and weaknesses, to strive for the best results and constantly work on improving oneself. I became a great fan of Putin’s while working on his chart. I agree that he and Obama are secretly working together. 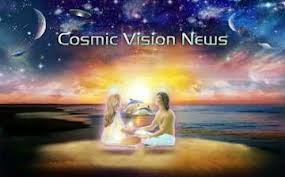 Putin’s Pluto is located in the 10th house conjunct his Midheaven on the 22nd degree of Leo–a very strong placement. 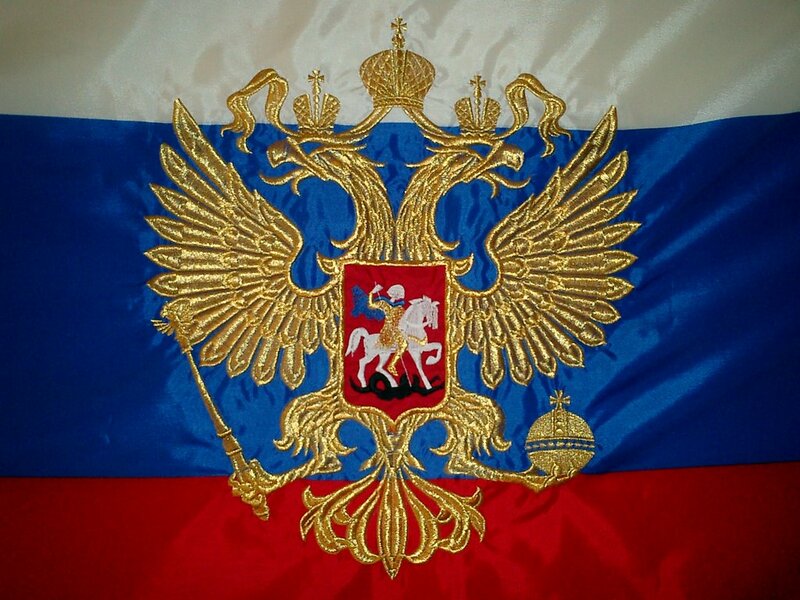 The highest point of his natal chart–the Midheaven–declares Putin to be a WORLD SERVER. And thus the confusion of others as they expect one thing of Putin and get a calm centeredness. 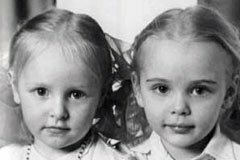 According to his former wife, Putin does not drink, never beat her (I understand most Russian men tend to do both) and absolutely adored his two daughters, paying much more attention to them than most Russian men do to their children. 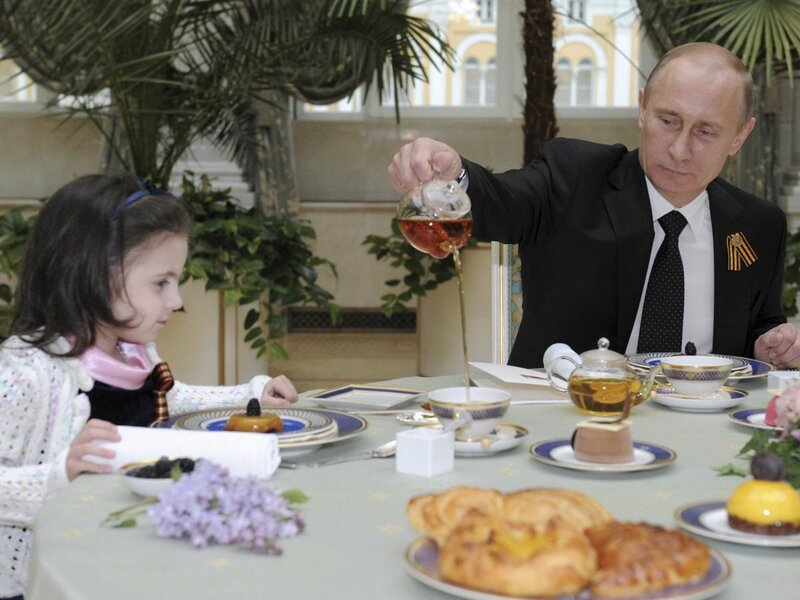 Russian President Vladimir Putin pours tea for Sonya, 8, a patient of the Rogachev Federal Research and Clinical Center of Pediatric Hematology, Oncology and Immunology during her visit to the Kremlin. Bottomline: he is a good man, even if some disagree with some of his decisions. He can be gentle and play with little girls and be a World Server! Obama can do the same. WOW! WHAT A FANTASTIC NEWSCAST! 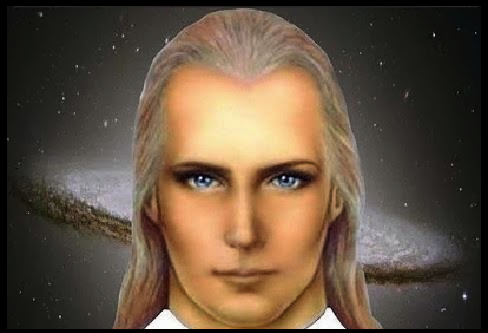 This is Ashtar through Elizabeth Trutwin, May 28, 2014 © All Rights Reserved.